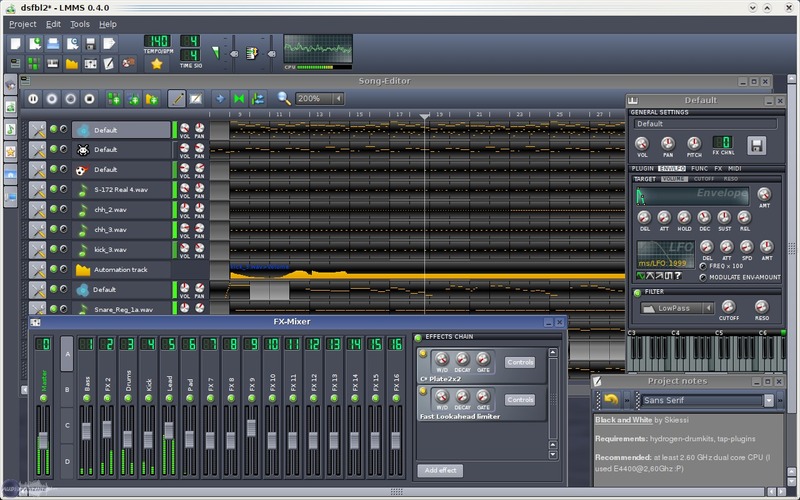 Linux MultiMedia Studio [Freeware], General Sequencer from LMMS. 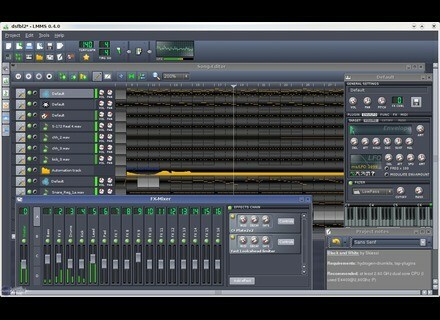 Linux MultiMedia Studio, or LMMS, has been updated to version 0.4.9 for both Linux and Windows. This version is a maintenance release of the 0.4.x series. It fixes most of the bugs found in version 0.4.8. Build system: fixed relative linker paths warnings. Build system: explicitly link against WinMM library on Win32. SampleTrack: do not hide EffectRackView forever when closing subwindow. InstrumentTrackView: added one-window-mode + global piano focus. InstrumentTrackView: use QMdiArea's window activation history. Fixed alternating row color in QTreeView (Sf2 patch selector). CALF LADSPA plugins: resynced with Git repository - fixes broken CALF Vintage Delay plugin. VstBase: fixed winelib build on x86_64. DSPaudio Updates Spectrum 2 DSPaudio updates Spectrum to version 2.01. Green Oak Crystal v2.5.0 Green Oak Software has announced the release of version 2.5.0 of Crystal, the free semi-modular software synthesizer for Windows and Mac OS X.